Are you worried that you will have nothing to leave to your children? Are your nursing home or medical costs getting too high? Can you set up an account to provide for a disabled loved one? Find out the answers to these questions and more on our FAQ page. Browse through our list of topics or use the search bar on this page for fast information. Does My Revocable Trust Protect My Assets From Medicaid? Does My Revocable Trust Protect My Assets From Medicaid? 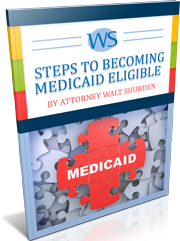 No, your revocable trust does not protect your assets from Medicaid. When available resources exceed $2,000 for a single person or $121,220 for a married couple then Medicaid benefits are denied. You can amend an existing revocable trust to make it irrevocable so that the assets will not be counted by Medicaid after five years. What is an ''Attorney-In-Fact'' and What Can They Do? What is an ''Attorney-In-Fact'' and What Can They Do? A return to the hospital may extend skilled nursing facility coverage by the number of days one spends in the hospital, because the time spent in the hospital should not count toward the 100 days. However, Dad will not receive a new 100-day allotment until he has been out of the hospital and the skilled nursing facility for at least 60 days. Attention Spouses Of Nursing Residents! ; You Are A Target! Attention Spouses Of Nursing Residents! ; You Are A Target!